There is only one major professional sport where women and men go head to head for the same prizes…horseracing! 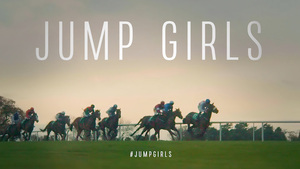 Jump Girls – directed by Luke McManus – is an observational bilingual two-part documentary which provides unique access to the key women making their living at the top of National Hunt racing – trainer Jessica Harrington and her daughters Kate and Emma, and jockeys Rachael Blackmore, Katie Walsh and Lisa O’Neill. ‘Jump Girls’ episode 1 will be broadcast on TG4 tomorrow at 9.30pm. Posted in Misc and tagged Horseracing, TG4 at 5:06 pm on February 20, 2019 by Bodger. And show jumping too right? The money and popularity of horse racing around the globe is light years ahead of show jumping. Horse racing is an every day event driven, prize money, gambling, greed and breeding. 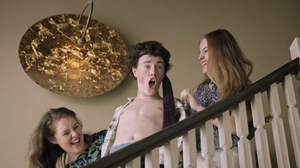 A flat jockey(man or woman) has the potential to earn crazy money if they’re good enough. So far, women have only managed to make a minor impact in flat racing but more so over the jumps. Not really. The male horses carry additional weight over the female horses. The Pointer Sisters- Jump, from before most were born, but not me obviously. As BLACK women go, IMO. the three degrees are still The Queens. As BLACK baitches go, IMO. the three degrees are still the queens. The Three Degrees over The Supremes?